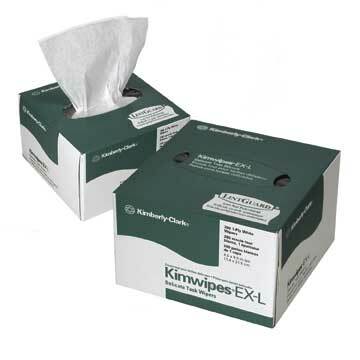 Kimwipes® are an extra low linting big tissue that will not scratch or contaminate most delicate surfaces. They will easily wipe up both liquid and dust and are highly absorbent. The dispenser is antistatic to reduce electrostatic charge. Each box contains 280 wipes. Kimwipes® are recommended for removing excess sperm from the pipette tip prior to dispensing into a test Cuvette.